Auction Fever is in the air!Theauction websiteis full of information and ways to support this incredible event! On this site, you canpurchase tickets to the parent party,get yourraffle tickets, or reserve your place at one of our manySign-Me-Up parties! Beginning next week, theclass traditionswill be on display throughout the school and they are always amazing!!! We hope to see you thisSunday at the 9:30am Rise and Shine Mass. Our 3rd graders have prepared Lenten prayers and will help us celebrate the liturgy! you can earn one hour of volunteer time for every additional shift you work.Please consider signing up for our open yard duty shifts! Clickherefor sign up link. "A Night at the Pub" is quickly approaching. It's going to be a fun community building night you don't want to miss!! If you haven't already done so, please check out ourAuction siteand buy your tickets for this fun & relaxing evening! Also, take some time to look at the many exciting parties and raffles offered in our Online Auction. Ifanyone is looking for volunteer hours outside of regular school hours, we are in need of additional "Panther Wranglers". If you have a large car and are willing to help, please contactStaci Kramer. We also have some sponsorship opportunities - if anyone is interested please contactCary TschannorLucy Mason. Get a fresh, healthy dinner on the table in less than 5-mins. $20 off first order, $20 donation to St. Perpetua School. Are you tired of scrambling at the end of a busy day to get dinner on the table? Tired of take-out and restaurant delivery? `Want to just relax and connect with the family around a healthy meal, but without all the shopping, cooking, waste, mess and clean-up? Munchery may be your perfect solution. Munchery's chefs cook fresh meals every day using locally-sourced seasonal and organic ingredients. 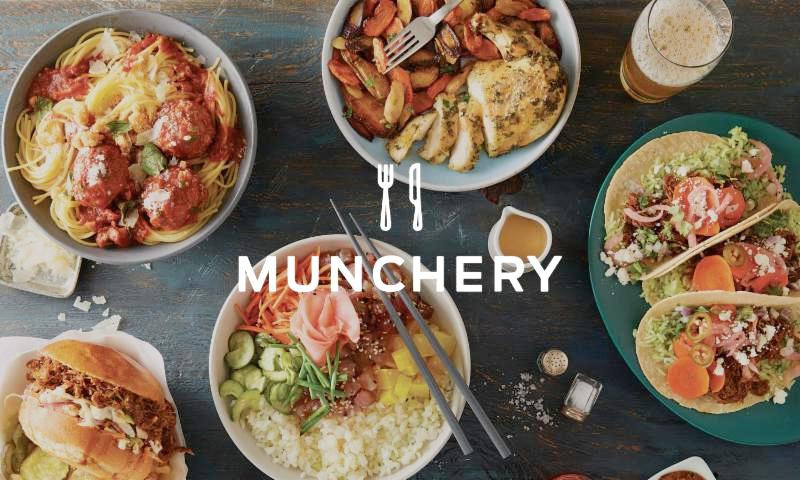 You choose entrees, salads, kids' meals, desserts and drinks from the app or site-- and the Munchery team delivers fresh food to your door. Munchery has offered $20 off the first order-- plus a donation of $20 to the School. ClickHEREand use the promo code STPS17. I am forwarding you an invitation from Congressman Mark DeSaulnier representing the 11th District to participate in a Town Hall discussion in light of the tragic events in Parkland, Florida. As a faith community we have a responsibility to do our part in the public and civic issues that affect all of us, especially, in this case, our children. As we continue to grieve the loss of 17 innocent lives in Parkland, Florida, we will be hosting a town hall to discuss gun violence prevention. I hope you will join us for this important conversation. Clickherefor more from Congressman DeSaulnier. We hope you can participate with us and our next Grateful Gathering onSaturday, February 24, 2018!If you didn't participate with us last year we hope you will this time around. 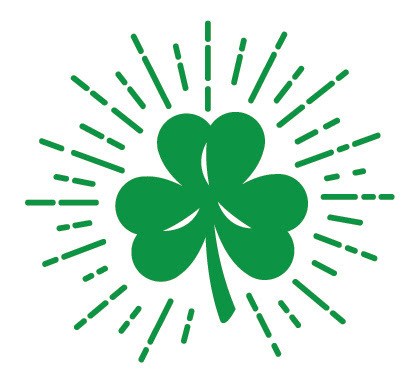 Grateful Gatherings is a non-profit co-founded by St. P's parent, Chris Flitter, and they identify low-income families who have transitioned from homelessness or crisis, collect furniture and household items they need and deliver them to their homes the same day.In one day, changing lives. This time we arehelping three families. One is aDesert Storm Veteranand his family, and the other two are two single momswho haveescaped from abusive relationships.Please clickhereto read their stories, volunteer or help with donated items. Literacy Night is an evening of poetry, puppets and reader's theater to celebrate student reading. It will take place onWednesday,March 7thfrom 6:00pm - 8:00pmin the school library. All students are welcome to attend. Participants in grades TK - 5 have been practicing their parts and are looking forward to a fun family evening! Volunteers are needed to provide and serve refreshments. To volunteer to provide refreshment, clickhere. To help serve refreshments, clickhere. Our 2018SpellingBeeChampion is Liam Nagelfrom 6th grade! 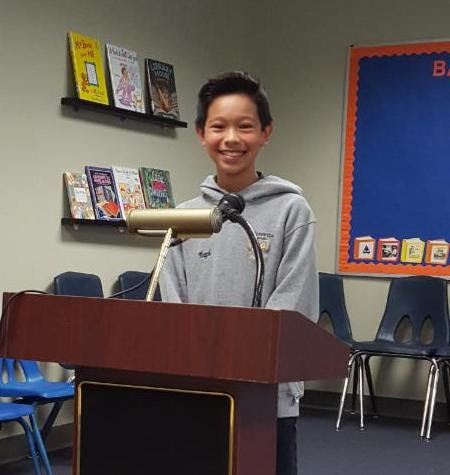 Hewill be representing St. Perpetua at the Contra Costa CountySpellingBeeonSaturday, March 24.Good luck to Liam! Imagine the ideal playground setting. Kids are healthy, happy and feel good about themselves. Carefree children run, play and enjoy their unstructured time. They aren't worried about being bullied or being treated poorly by other kids. Many experts believe the word "bullying" has been overused and misused. It is hard to admit that our children have some behaviors that could be considered bullying. My plea to you is to not worry so much about the label, but to focus on helping all of our children take responsibility for their behaviors and words. We must look at negative behaviors in our children and help them learn to act/ react appropriately to others. We all have children who at times make poor social choices. Negative behaviors could be spur of the moment behaviors, but can come off to others as bullying. Other times, kids are purposely excluding others as they prefer a certain group of friends. Sometimes those behaviors or words are subtle. None of us are perfect in our interactions. Your child is learning how to behave in social settings that are constantly changing. Not an easy task! Yes- kids need consequences, but also, please be sure to pair a learning experience with their consequences. The best thing we can do to help our own kids learn to work through these tough social interactions is to consistently remind them to focus on their own behavior. Kids cannot control the behavior of other kids... we need to continue to help children focus on taking responsibility for their own words or behaviors (whether they are actions or reactions). Keep asking your kids, "How can you be a part of the solution?" If they complain about other kids' behaviors, please ask them how they react in those situations. 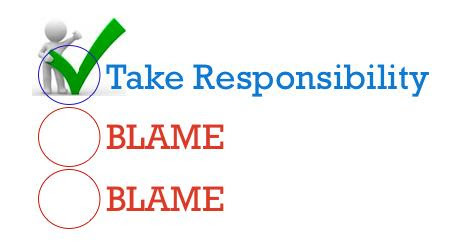 Give them the power to take responsibility for their actions and always be a part of the solution. Try not to punish them for being open with you about making social mistakes... if they can take responsibility they will learn that they can become a part of the solution. They can BE THE GOOD! Please know that I do not consider your child to be a bully, but I am sharing this article with you, as I love the way it focuses on teaching children to take responsibility. Please read this and feel free to substitute in the words "negative behaviors" for "bullying".This articleis such an important read for all parents K-8! We must be proactive! 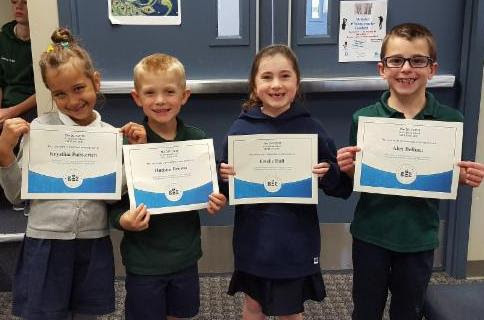 The Young Authors Faireis a diocesan-wide program that celebrates the budding authors in our midst. All students ingrades 1-8are encouraged to participate by writing a book. 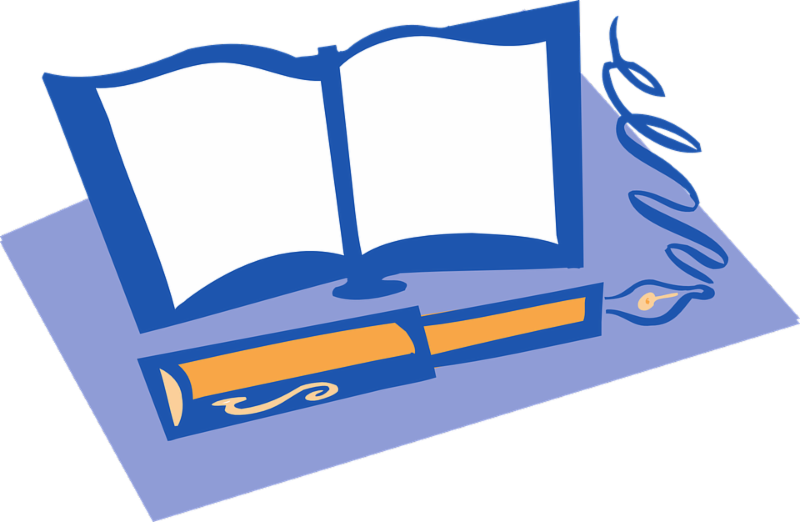 Before you being writing, please fill out aYoung Author Planand give it to your teacher. When you finish your book, astudent checklistmust be submitted with it. More information about the Young Authors Faire and all forms are on our school websitehere. Completed books are due to your teacher by Thursday, March 1st. That means you have the entire month of February to write, edit, and "publish" your book. If your family needsservice hours, this is the place to go.We need snack and plate/paper cup donations for many days in March. Email Mrs. Kenney for paper product needs. Here are someFebruary enrichment eventssponsored by SEEDS! Attention all 6th, 7th and 8th grade girls interested in playing volleyball! IF YOU WOULD LIKE TO REGISTER FOR CYO VOLLEYBALL PLEASE DO SO BYFEBRUARY 28.